The assessment of risks to human health from chemicals is of major concern for policy and industry and benefits all citizens. It is mainly based on the exposure and the dose-response assessment. Exposure assessment is generally considered to be the weakest point in risk assessment because currently available tools show major flaws (e.g. lack of integrated approach for assessment of combined stressors, use of ‘worst-case’ scenarios leading to over-conservative results, lack of uncertainty/sensitivity tools for identifying the important exposure drivers, output provided in terms of intake rates because environmental multimedia and PBPK models are not integrated, standardisation processes not considered). To overcome these drawbacks, the 2-FUN project (http://www.2-fun.org), funded under the EU 6th Framework Programme, produced a prototype software containing a library of models, coupling environmental multimedia and pharmacokinetic models. This software, the 2-FUN tool, resulted to be an innovative and useful instrument for the assessment of human health risks from exposure to chemicals. However, the 2-FUN tool was a 'prototype' and not a 'standardised' software. 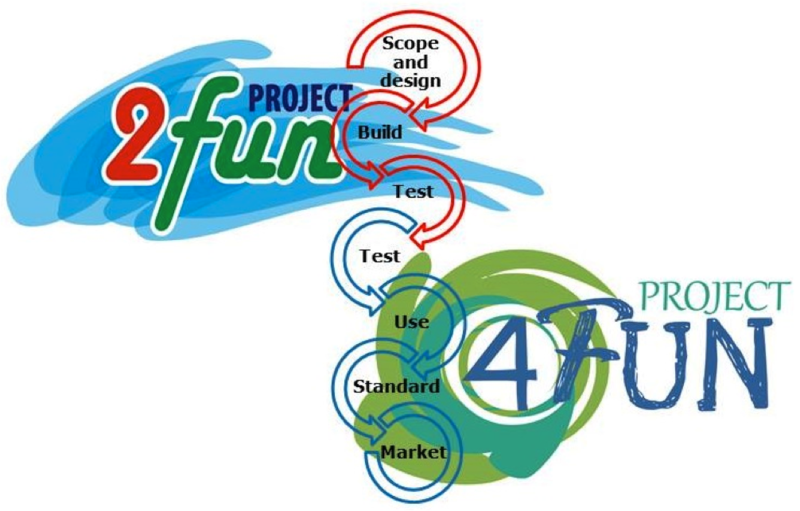 The 4FUN project will take the results from the 2-FUN project to the market following thorough standardization processes and dissemination activities (Fig 1). Figure 1. Interaction between 2-FUN and 4FUN.